One of the rarest colonial era maps of Virginia is A new and accurate map of Virginia wherein most of the counties are laid down from actual surveys…by John Henry, published in London in February, 1770, by Thomas Jefferys. Previously published cartobibliographies and descriptions of this map have reported only one known state of the map. Yes, I realize this is supposed to be the North Carolina map blog. However, since North Carolina is the “original Virginia”, I consider the topic fair game 😉 . John Henry’s 1770 four-sheet wall map is excessively rare, with approximately a dozen surviving copies documented. It obviously was not a commercial success on account of multiple reasons. First, Henry’s pleas to the Virginia House of Burgesses for financial assistance were repeatedly rejected. Lacking sufficient money for the project, Henry never measured all the roads of Virginia, information he had proposed to include in his map. The resulting map not only lacks those distances, but it lacks any roads at all! The locations of multiple bridges are shown, but there are no roads leading to or from them. Third, John Henry died in 1773; he had a very narrow window after the initial publication of the map to pursue corrections or revisions. According to one source, John Henry sold the rights to the map to his son, Patrick, in May, 1770. Correcting or revising his father’s map may not have been one of Patrick Henry’s higher priorities on the eve of the Revolutionary War. A recent announcement of a copy of the map for sale prompted an internet search for digital images of the map. Upon inspecting the copy held by the Biblioteca nacional de Espana (BNE), it became readily apparent that their copy is an earlier state than all others for which on line images are available. The 2nd state (or is it the 3rd – see comments) of the map contains many engraved additions that are present only in manuscript on the BNE copy, leading to an initial conclusion that the BNE copy was used as a template for the revisions to the copper plates. However, the BNE copy also has adscititious features in manuscript that are not part of the engraved 2nd state, and the 2nd state has some engraved additions that are not present (engraved or manuscript) on the BNE copy. This makes it difficult to conclude with absolute certainty which is the chicken, and which is the egg. Readers are requested to provide their opinions via the “What’s on your mind” comment box at the bottom of this post. 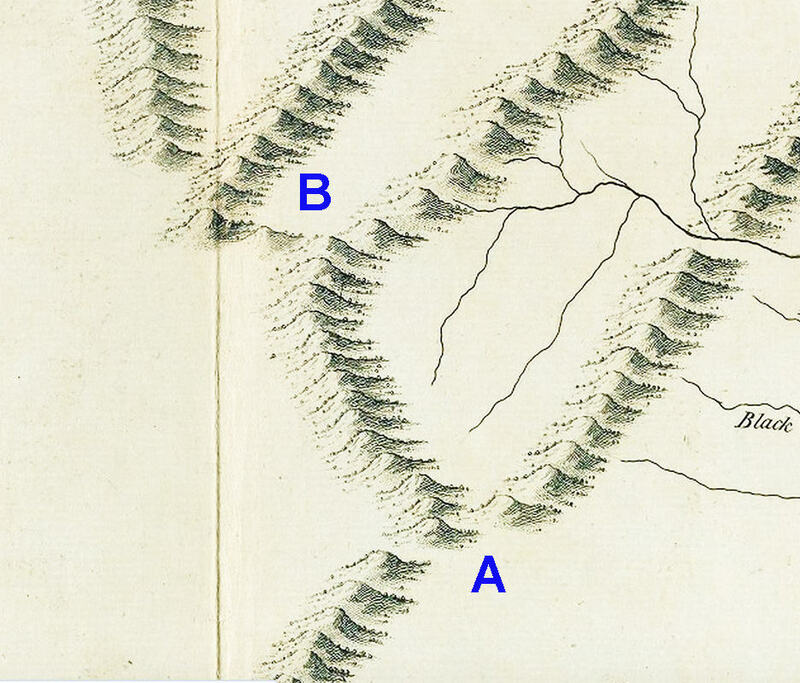 In the meantime, let’s take a look at several of the distinguishing features between the 1st and 2nd states of John Henry’s map of Virginia. Note: The first state images are from the digital scan of a map in the collection of the Biblioteca nacional de Espana. The second state images are from the digital scan of a map in the John Carter Brown Library. On the first state, Falmouth is added in manuscript across the river from Fredericksburg. On the later state, Falmouth is engraved. Town symbols for Fredericksburg and Falmouth are also added, though only one for Falmouth is seen in manuscript on the first state. 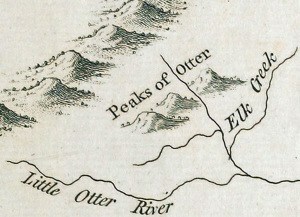 The later state also includes an engraved “The Falls” up river from Falmouth; this text is not seen at all on the first state. In southwestern Virginia, there is a curious group of mismatched manuscript annotations and plate revisions. 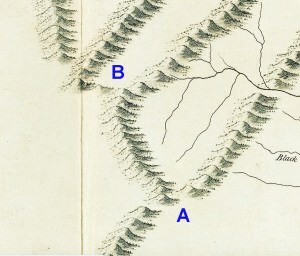 Several marks in the range of mountains on the first state suggest that small gaps in the mountains (A, below left and right) should be filled with mountains. However, this did not occur on the later state. 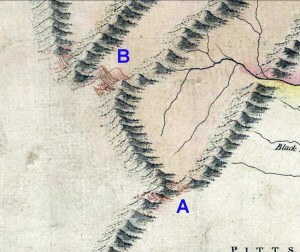 Further north, 3 manuscript mountains close off the south end of a valley on the first state, but only a single engraved mountain symbol serves that purpose on the later state (B, below left and right). Finally. just west of B, there are some hand drawn ink lines on the first state for which no appreciable change to the plate is seen on the later state. The most common change is the addition of multiple engraved court house symbols for those counties which did not contain an engraved symbol on the first state. Multiple new plantations or land owners are designated along the rivers in manuscript on the first state and engraved on the later state. The engraver’s imprint below the title on the later state, is only faintly seen in manuscript on the 1st state (see below). The later state has a publisher imprint bottom center below the neat line as well as longitudinal numbers at the top and bottom; these are lacking on the 1st state. These are just a few of numerous differences between the first and later states. Was the first state a publisher’s proof, not intended for public sale, or was it a first production run? The evidence certainly favors the former. What is the likelihood that a publisher’s proof would have been so beautifully colored? Opinions of scholars of cartographic history would be greatly appreciated. One can hope that a definitive answer still awaits discovery in the unpublished historical records. I’d also love to hear the story of how this particular 1st state copy ended up in Spain. ADDENDUM: Per the BNE, the Henry map of Virginia is part of the Mendoza Collection. More details about this collection can be found in the comment section. Below are links to copies of the map that can be viewed on line, several images being high resolution scans while others were just for illustration. Degrees of Latitude by Margaret Beck Pritchard and Henry G. Taliaferro – pp 200-203 contain excellent discussion of the publication history; the public bantering carried on in the newspaper between Henry and his detractors is most entertaining. Margaret and Henry’s bibliography provides many excellent references. The John Henry County Map of Virginia, 1770 ( 1977 Facsimile), with introduction by Louis B. Wright. The following institutions hold (or are believed to hold) copies of the map: Virginia Historical Society (2 copies, one of which is “imperfect”), Library of Virginia, University of Virginia, Colonial Williamsburg, Harvard, Clements Library, Massachusetts Historical Society, Library of Congress, British Library, John Carter Brown Library, and Biblioteca nacional de Espana. A copy in private hands prompted this search. Census data provided by Luke Vavra, with minor modifications. 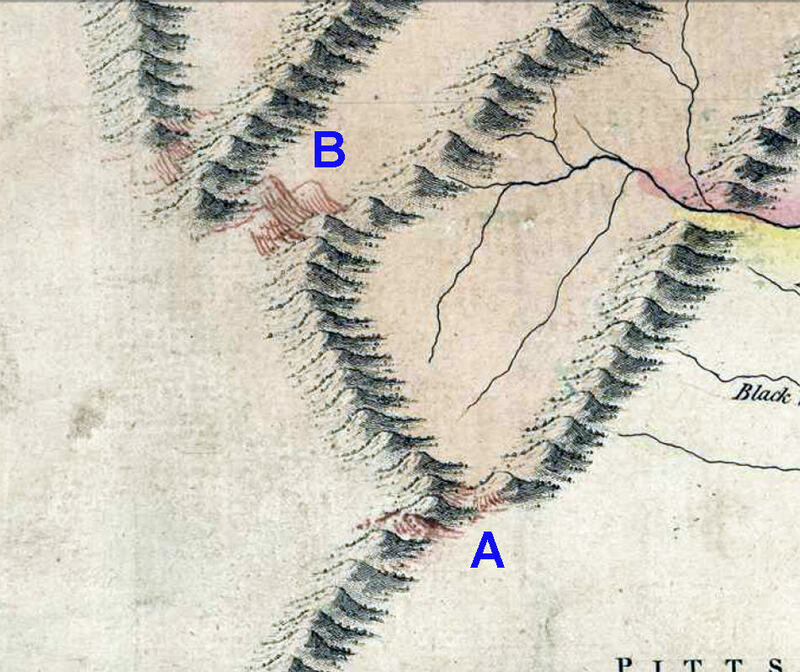 This entry was posted in 18th Century, Boundaries, Cartobibliography and tagged John Henry, Patrick Henry, Re-stating, Thomas Jefferys, Virginia maps, wall map by crmaps. Bookmark the permalink. Jay – Really nicely done article. The poor Henry map is clearly the ne’er do well relation that the Virginia map family doesn’t like to discuss, but it’s fascinating in its peculiarities. I tend to thing this was a publisher’s proof. I doubt that they added color at that point, but someone, reluctant to discard it despite its shortcomings, could have easily done so later. Like you, I’d love to know how it ended up in Madrid. I am the owner of the John Henry map which recently became available for sale by my firm Cartographic Arts. The availability of a proof copy adds an interesting chapter to the history of the John Henry map. 1 It bears numerous manuscript annotations later incorporated on the production issue. 2. There is no evidence more than one copy of the Madrid version exists. In separate correspondence Jay indicated he had examined images of six copies which were not like the Madrid copy but could not examine images of five others. He and I independently determined that four of the five others were production issues by analyzing the library records for the maps. The one listed in the Massachusetts Historical Society catalog may exist as four sheets bound in the French atlas factice (also called “composite atlas”) Atlas des colonies Angloises en Amerique, compiled circa 1775, some 5 years after the production date on the map. At that later date it is not likely to match the Madrid copy. Of twelve recorded copies, one is a proof copy, ten are production copies, and it is uncertain as to the issue of the MHS copy. 1. On the Madrid copy, compare “Court House” above Snake River Mountains in Buckingham County to “Court House” near the word Chesterfield in Chesterfield County. See especially the capital “H” and the lower case “s”. 2. 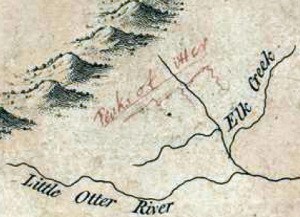 On the Madrid copy, see the manuscript words “Willis’s Mountains” above the word Buckingham County. They are completely different from either of the above. In his blog Jay mentions changes to the production issue which were not present on the Madrid copy. Those could have been applied directly on the copper plates. The Jefferys firm was the engraver and publisher, but not the distributor of Henry’s map. Jefferys would have little reason to keep the proof copy in his records once printing was completed, and the copy eventually wound up at the National Library in Madrid. 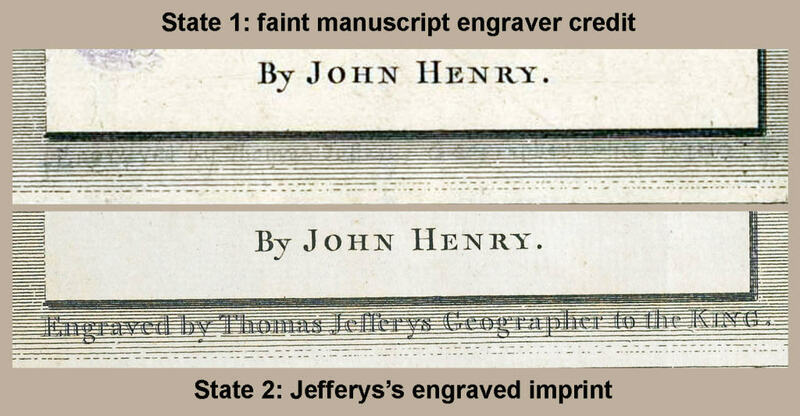 Jefferys was publisher of the popular Fry-Jefferson map of Virginia during this time so would not agree to distribute a competing map of the same size and region; his firm was essentially a subcontractor to engrave, edit and print the map for John Henry. I have just received a reply from Daniel Hinchen at the Massachusetts Historical Society. Their copy of the Henry map of Virginia is indeed the 2nd state. Both copies have the engraver’s imprint below the title. 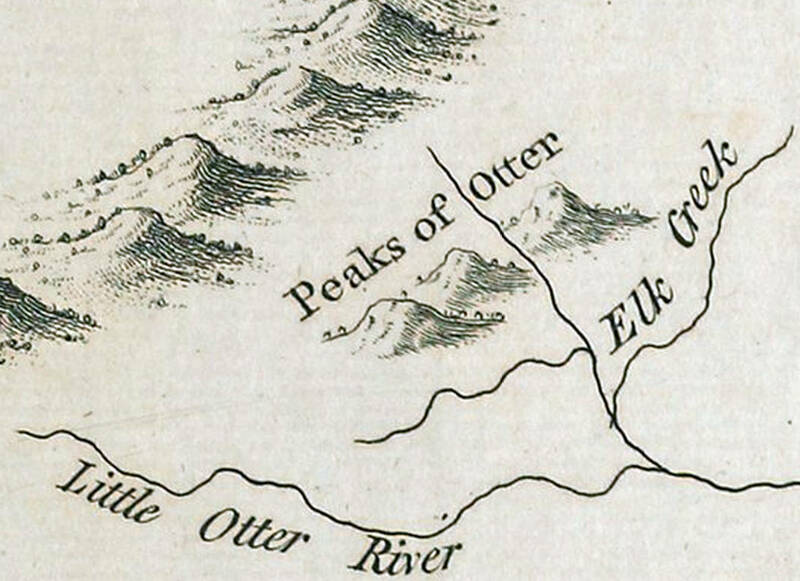 The other variations you noted (manuscript notations for Falmouth, Peaks of Otter, etc.) do not appear on our copies. Or perhaps just a bit of confusion and their copies are the same as the other “later state” copies. I look forward to visiting the VHS some time in the next few months.